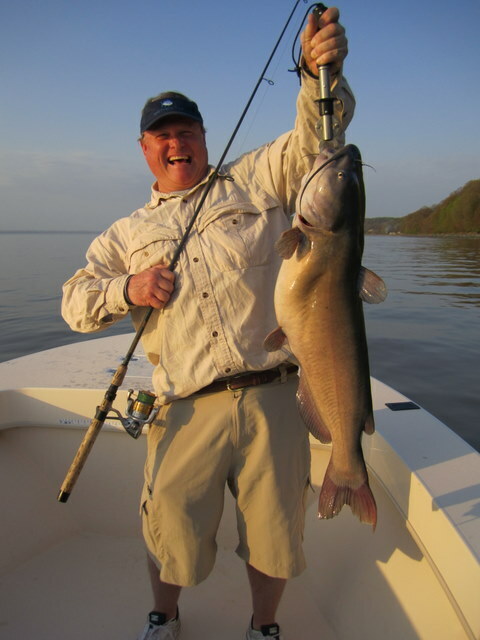 As we wind down on the 2011 catch & release season at the Susquehanna Flats, most of the guides will be making a decision in the days ahead whether to hold or throw in their cards. To put it mildly, this flats season has, so far, been a bust! As of today, the water is still muddy, while falling gradually in the river. We are hoping the forecast rains in PA are lighter than expected so we can salvage the last week of the season. I am on a hold pattern and not fishing until at least next Monday. Bait fishermen are still catching a few nice fish, but that’s not really what I signed up for. I’ll keep you posted. On the bright side, my last trip out was this past Monday with Scott Evander and Hovik Taymoorian, D.O. We fished cut herring on circle hooks with the hope of catching a trophy rock or even a big channel cat. We were lucky and managed to accomplish both goals. 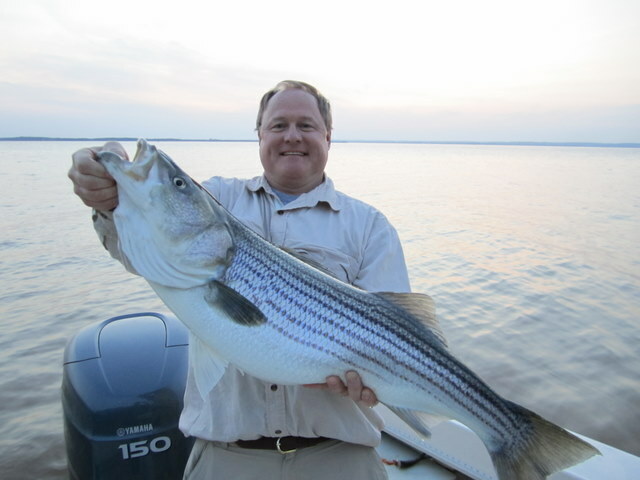 Hovik and Scott were both having fun with a steady bite from the catfish – with Scott earning top honors with a monster 18 pound specimen – when just before dusk, Scott put icing on the cake with a 17 pound striper. The fish nailed his herring and gave him a strong battle and the photo-op he had been waiting for. 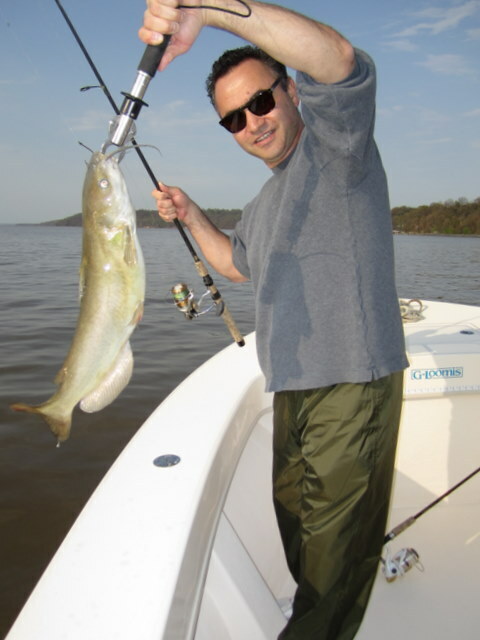 All fish were released unharmed to fight another day. The guys had a great time and really enjoyed themselves despite the tough conditions.